We call this feature full width batching and it’s our personal favorite tip for speeding up your blogging workflow with Storyboard. If you are like us and your blogs feature a lot of full width images (one image per row/storyboard), this feature will save you a ton of time. With the standard Storyboard workflow if you had 10 full width images in a row that you wanted to blog, you’d have to storyboard each image one at a time. 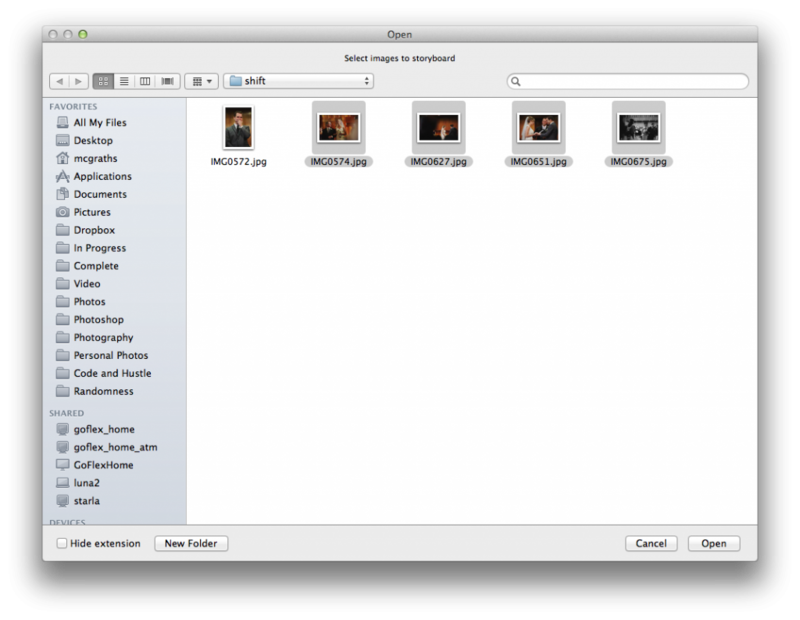 That could be a lot of clicking if you have a lot of images in your blog post. With this feature you just select the 10 images you want full width and then hold the shift key when clicking the ‘Open’ or ‘OK’ button on the window that asks you for images to storyboard. It will then batch each file individually, running actions and saving them in proper order. This feature also works with the reordering feature outlined in a previous post so that you can control the order they are saved/named. Just hold the shift and option/alt key when selecting images. hey guys, this didn’t work for me. 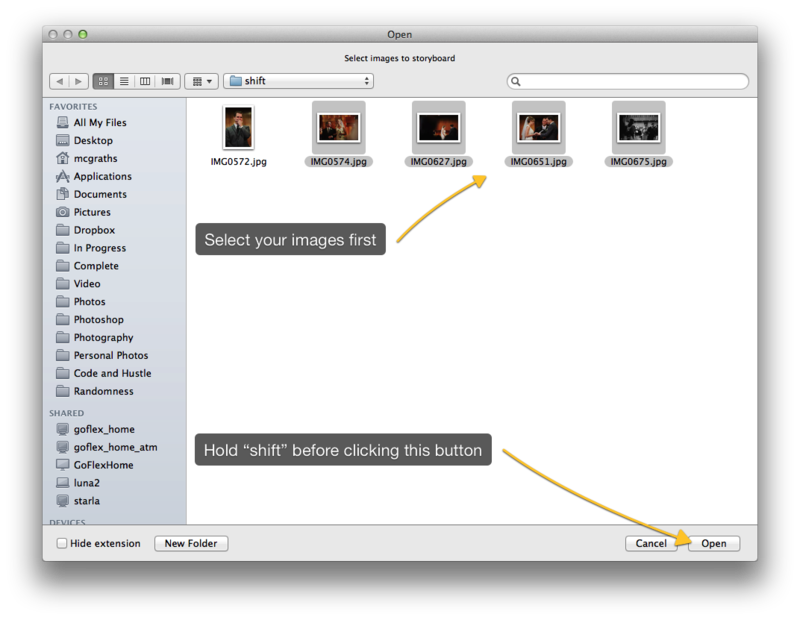 I hold down CTRL to select three photos, then hold down SHIFT when clicking OK… and it still just puts the three photos in a row. What am I doing wrong? I have ‘ask to reorder every time’ checked, and that’s what comes up (I need it lots of other boards). When I click OK, it puts them all in the same row.. bug? Yes, it probably has to do with having “Ask to order everytime” being checked. I’m sure if you unchecked it, this trick would work. Something we’ll look into. This is so clutch. Thank you.